Rent Kendall Plantation | Corporate Events | Wedding Locations, Event Spaces and Party Venues. A graceful grand staircase, sparkling chandeliers, exquisitely detailed mouldings, and elegant decor throughout make brilliant first impressions. 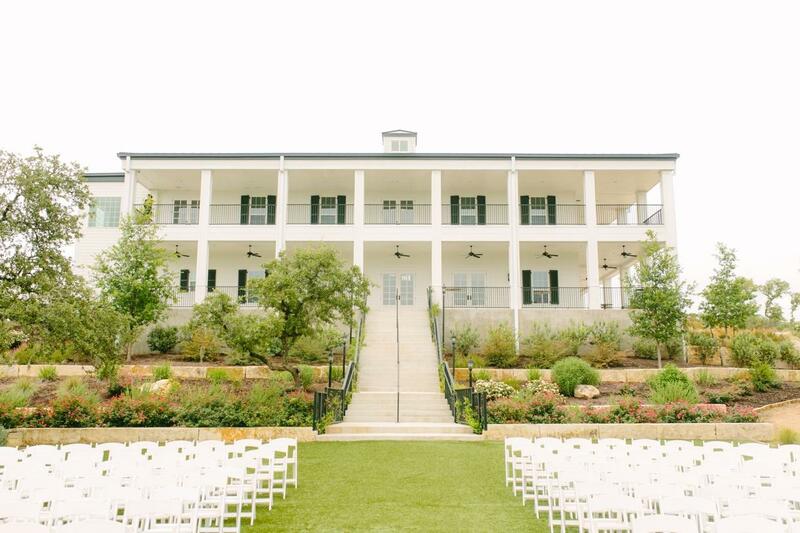 For a truly elegant wedding with timeless appeal and picturesque scenery, Kendall Plantation is the place to say “I Do.” Set atop a hill, offering breathtaking views of the Texas Hill Country and a cool breeze year-round, Kendall Plantation highlights some of the most desirable features for today’s bride. Whether you are planning a gorgeous daytime wedding or a spectacular nighttime event, we want to make your wedding vision come true! Celebrate your nuptials in unforgettable elegance with an outdoor ceremony on our forever-green lawn under a beautiful gazebo. Century-old live oak trees frame the gazebo as it overlooks a natural spring pond. Inside the Plantation, French doors, floor-to-ceiling windows and a grand staircase create the perfect indoor wedding environment. On the grand staircase serves as an ideal focal point to exchange vows. The ballroom can be transformed from a romantic ceremony setting to a seated dinner or festive reception while your guests enjoy our signature wraparound porches and spectacular second-story views. At Kendall Plantation, you and up to 400 guests will enjoy a spacious indoor reception tailored to you and your guests’ specific needs. We are excited to offer web cameras specifically located to allow your friends and family who are unable to attend your wedding to view your wedding or reception live! Kendall Plantation will arrange all tables and place the linens on your guest tables according to your specifications.